Back and better than ever is the Ontario Knife Company’s incredibly popular RAT 1 folding series of knives. If you are looking for an Ontario RAT 1 review, you've come to the right place. After using them, it is easy to tell why they have been some of Ontario Knife Company’s best-selling knives. This series of knives are available with a few different options including different blade colors and edges, opening mechanisms, and handle materials. 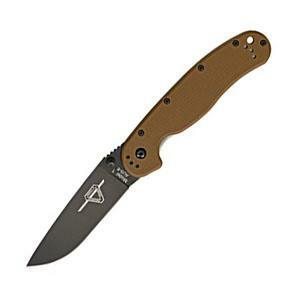 Overall, the RAT 1 series of pocket knives make for great everyday carry knives. 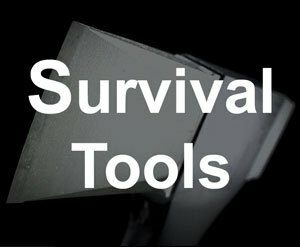 These inexpensive knives have multiple carry options and a relatively strong blade. 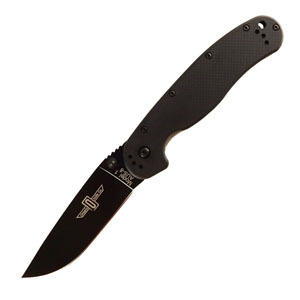 In this article, we are going to take a deep dive into this awesome pocket knife﻿, which is perfect for everyday carry, and at a great price. The Ontario Knife Company is one of the country’s oldest knife manufacturers. They were founded in 1889 in Upstate New York and are still headquartered there today. Their catalog features an extremely wide variety of cutlery and tools including many produced for the United States military. As to be expected for a company that has been around for over a century, their quality is well respected throughout the industry. They pride themselves on their materials and design. All of their products are backed by a limited lifetime warranty on the material and for workmanship defects. All of the knives in the RAT 1 line have 3.5-inch blades crafted from a relatively high-quality Japanese stainless steel, AUS 8. The blade is also available in D2. 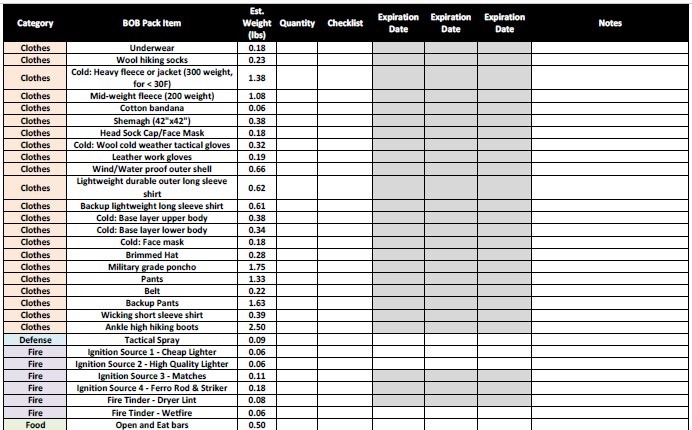 While AUS 8 is not the most expensive steel available, it is commonly used and respected throughout the knife industry. The AUS 8 steel dulls a little faster than steels that are more expensive; however, it is easily sharpened to a fine edge. As to be expected, normal maintenance keeps this blade sharp. They are all opened with a basic thumb stud opening mechanism, which allows for easy one-handed opening. Another great feature of this knife series is an extremely versatile pocket clip, which attaches in four different ways. Allowing for either tip up or tip down carry for both left-handed and right-handed users, these knives can be carried any way imaginable. 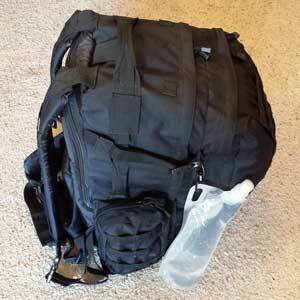 It also has a lanyard loop that gives a fifth carrying option. The only downside to carrying this knife compared to other similar knives is the weight. The knives are all 5-inches long when closed. They weigh 5 ounces. While it may not seem like much, the extra ounce to ounce and a half may eventually be annoying. The handles throughout the whole line of knives are pretty good. They all have an indentation for your index finger for added safety and an ergonomic grip. Cleaning is a breeze with their open post construction. The more expensive knives in the series have a nicer handle. However, all handles offer a decent non-slip grip and the same general shape for your hand. One final commonality among all of these knives is the basic liner lock mechanism. While this locking mechanism is basic, it gets the job done. There are sturdier, safer locking mechanisms available, but the tried and true liner lock has yet to fail in the pocket knife industry. 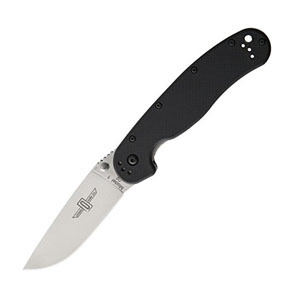 It may have a little more wobble than other blades, but overall, the liner lock works and is extremely easy to close. The primary differences among the different knives in this series are the blade color, handle material, and opening mechanism. We will start with the most basic and work towards their newest models. First up in the series of are the RAT 1 SS and RAT 1 SP - silver serrated and silver plain edge. These knives are the least expensive in the line. As an affordable, entry-level everyday carry knife, it will not get much better than this. As the names of the knives might suggest, these two have a silver blade that is available with either a full taper plain edge or a full taper half-serrated edge. The handle scales are made out of reinforced nylon. However, older knives may be found with pink, tan, and green handles. More colors may be floating around. 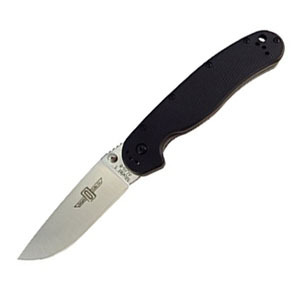 Next up are the RAT 1 BS and RAT 1 BP - black serrated and black plain edge. They are identical to the RAT 1 SS and the RAT 1 BP with the exception of a black blade. They are slightly more expensive than the SS and the SP, but still extremely affordable. Last are the RAT 1A BS and BP. These knives are the most expensive of the group featuring the newest technology while still being affordable. 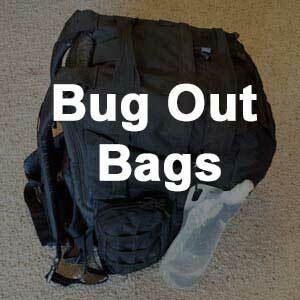 They have an assisted opening mechanism, the patent-pending Tactical Assisted Opening. The assisted opening allows for even easier one-handed opening. Another improvement over the other models is that the handle is made from G-10, which allows for a slight reduction in weight. Overall, there is not much flashy about these knives. 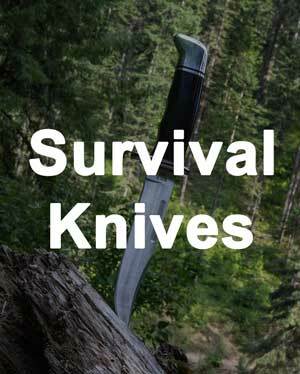 They are simple, inexpensive everyday carry knives that are decent quality and are produced by a reputable brand. Their durability and quality are unquestioned. While their popularity attests to their reputation. The four-position pocket clip, relatively strong blade, generally comfortable handle, and a limited lifetime warranty are all great features. They make for excellent entry-level everyday carry knives with multiple blade colors and edge options. The assisted opening of the RAT 1A BS and BP are also a nice feature with an added cost. 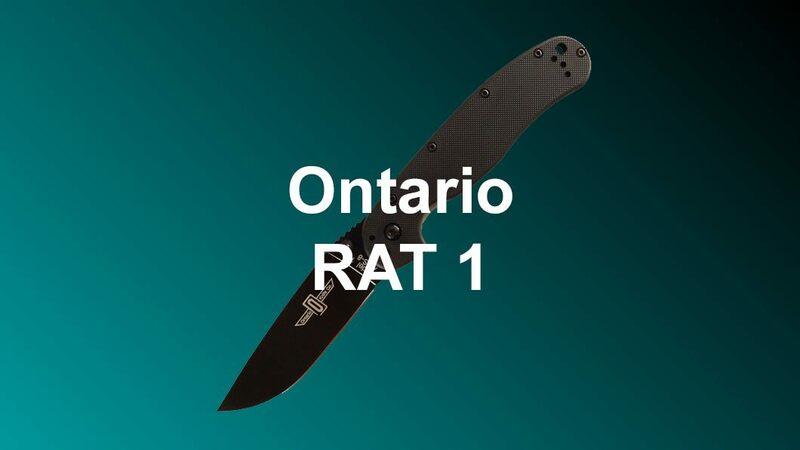 Some users who may not like the Aus 8 steel go for a more expensive Ontario RAT 1 D2 option. It's a great choice if you prefer D2 steel, but the regular knife performs just fine. 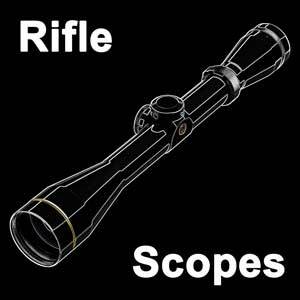 Things we would like to see improved are a more lightweight frame, a better locking mechanism, and an improved handle. The more expensive variants of the RAT 1 series already have better quality handles. 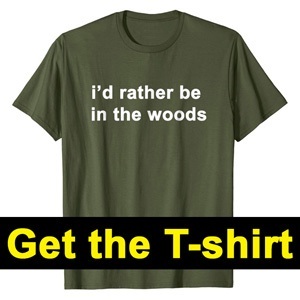 We would like to see the whole line made with G-10. This would reduce the weight of the knife. This, in turn, would make it a better knife to carry. While the liner lock mechanism works, there are better options out there that reduce wobble in the blade. However, as previously mentioned, at this price point, it is hard to find a better everyday carry option than the RAT 1 knife.